I grew up in Southern Ontario, Canada on a dairy farm to immigrant Dutch parents. 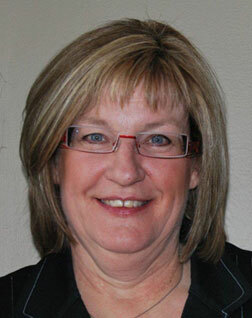 After completing nursing school and getting my RN diploma, I moved to Alberta and worked in many different places throughout the province and now I reside in Calgary. Working in the psychiatric field of nursing has provided me with a healthy view of why we stitch – to keep our sanity! I am married to a very supportive fellow who has seen me work through many different art mediums in our married life. He is a good listener and is always helping with ideas and needlework shows. We have 2 lovely daughters both in university. How did you become involved in needlework (cross stitch, quilting etc.)? I actually can hardly remember not stitching. My mom had gone to finishing school in Holland right after the war and so she taught my sisters and I how to sew, darn, mend, knit, and crochet. In my teens already I bought my first crewel piece of a flower vase of flowers and never looked back. In my early 20’s I went through a number of Creative Circle party kits! And then my years of Paula Vaughn’s! And finally found samplers which has become my passion. I have loved counted thread for a long time. Do you involve family members in any aspect of your design/teaching business? I do ask colour opinion of my daughters and now especially since my one daughter is in a creative design program herself, I can bounce design ideas around with her and she helps me with some of the photography. And over the years they have not been able to get out of gluing pictures and bagging patterns and threads! If your other hobbies or interests have influenced your craft, do you incorporate or combine these elements in your needlework? For 10 years while still working at the hospital I worked for a small gift shop doing all the dried floral design and folk art painting pieces that the shop sold. This has certainly influenced some of the needlework projects as these crafts relied heavily on colour theory; it gave a great basis for designing needlework. Where does the inspiration for your work come from? Mostly from nature itself, as a rainy thunderstorm day in the mountains gave birth to the Canadian Journey series, the beginning of my career in needlework design. It started with a bang! But with a love of architecture and interior design also mixed into the love of stitching it all blends together into what it has become. I love pawing through old stitch books and often just seeing a different stitch will stimulate me to go further with it or ‘play’ with it and then go from there. What has been the biggest influence on your work in the last few years? My love of figuring out new stitches, seeing a pattern of something I like whether it is in carpeting or old tapestries. Describe how your work changed since you first got started in needlework? The biggest change is that the work has evolved from the passion of needlework to all the challenges of running a business. How would you classify your style (modern, traditional, classic, etc)? I think my style is old yet new, being able to mix the classic with a new and fresh twist. 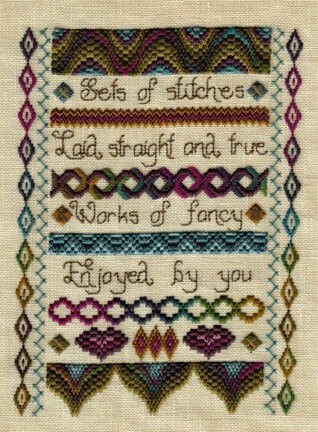 Modern Samplers with Traditional Roots. Do any of your designs have a special story behind them? There always seems to be a story behind most of the pieces, as they are often inspired by life’s experiences. Where do you display your work or exhibit? My work is in trunk shows that travel the continent. Where are your designs available or how can consumers purchase them? 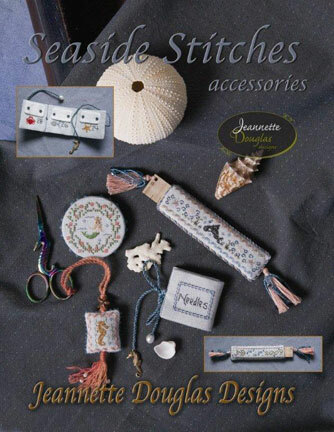 My designs are available at most specialty needlework shops across North America, England, France, The Netherlands, and Australia who order through either myself or American distributors. How did you get involved teaching? A shop which has now since closed in Oakville, Ontario asked for a commemorative sampler for her city as she had such a love for her place and wanted it depicted as I had done for the Canadian Journey series of Canada’s regions. Once I did that it was really more word of mouth that since then I have done a number of Canadian cities across the country in band sampler style. I actually don’t know how the American teaching came about except I did get asked at the Nashville Needlework show when I had my first booth there and from there it too was word of mouth. Next year I will teach in England and many cities in the States - see events on the website. I think my nursing career helped the teaching in that psych is a lot of coaching – educating patients about their diagnosis and working through issues and so teaching came as a natural thing for me. I really enjoy people and so the teaching gives me that chance to be with like minded people. Where can consumers, shops or guilds find out about your teaching schedule? I post it on my website right from the front page. When did you first learn about and begin using The Caron Collection threads? I used The Caron Collection threads right in my very first pattern. The shop with which I was highly acquainted had a wall of Caron Collection threads and they sure helped stimulate designs. What is your favorite Caron Collection thread? What kind of upcoming projects or plans do you have? I am working always about 2 years ahead and have at least a doz or more projects on the go. They will be more of the same kind of thing - things that I love myself yet trying new effects at the same time. What goals do you have for the future, personally or professionally? To continue to learn new stitches, new ways of putting them together, continue to teach and grow through sharing and meeting together. 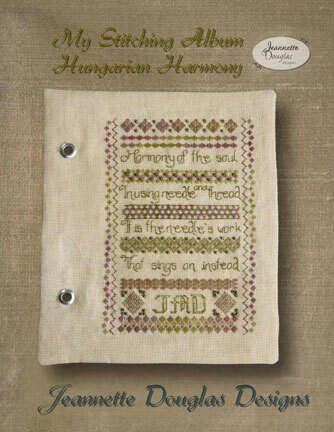 What has been the most fulfilling aspect for you about designing needlework? Being able to use my creativity which all through working at nursing was a part of my life and so being able to do it full time is truly a dream come true. I said once on the back of the Pacific Rim pattern and it still has meaning today:” I am grateful for God’s gift of creativity. In Julia Cameron’s book “The Artist’s Way” she states “using our creativity is our gift back to God.” And I think this is the key - we all have gifts but to be able to use it in a way that people show you back their enjoyment of it is very fulfilling. What would you say is your greatest legacy and how would you most like to be remembered? 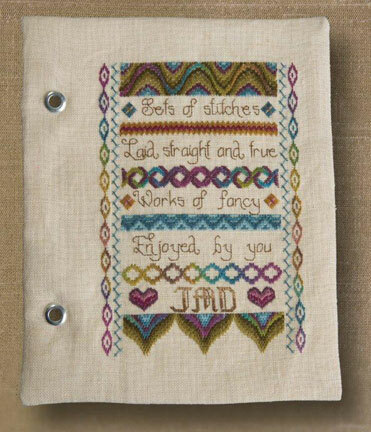 My greatest legacy are the patterns My Stitching Treasures and My Stitching Album, but I would like to be remembered for doing more than just that. The Internet has changed our entire society. What are the pros and cons of the Internet as it concerns our industry? Certainly the pros of the internet is that designers can display their craft and then the consumer can go to their local shop and encourage that shop to carry that designers designs, in this way a designer could have increased visibility. But the cons is that it does not give the stitcher the hands on approach where they see a piece stitched and go ‘I want that’ – being able to feel, touch and be supported by a shop is such a positive experience. The shops give the hands on contact; if you are a new stitcher it is so nice to ask your shop for help. 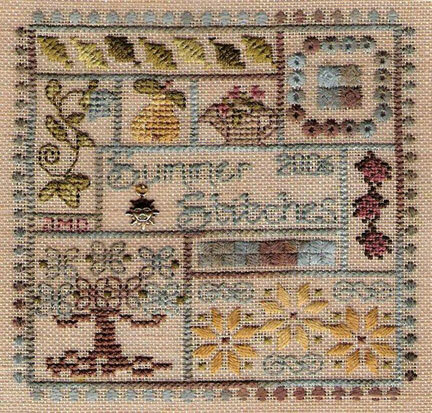 Especially in my case, with the different stitches – it can be offsetting to a new stitcher or one who is learning to go beyond cross stitch. Needlework is our passion. How can we pass our enthusiasm and skills along to future generations in a way that is appealing and exciting to them? Keep trying new things, old with new, new colours as colour trends change in all facets of our life whether it is a new car, home ideas, fashion trends. Experiment and challenge yourself.